The Redrock Micro microSpud is a quick-release mount used with a microMount, microCheesePlate, or any other accessory requiring a 1/4"-20 male or female connection. 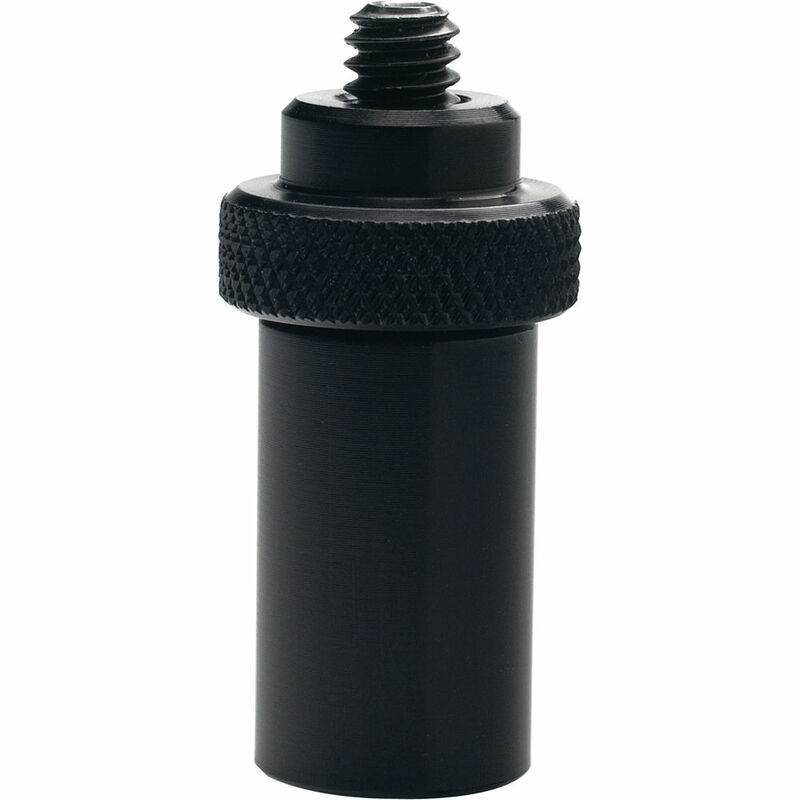 It is 1" long, with an industry-standard 15mm diameter. microSpud is rated 4.8 out of 5 by 8. Rated 5 out of 5 by Peter from This Spud's For You! Redrock Micro pays attention to the details, even when it comes to the lowly microSpud. This useful little widget is solid and true, and the nicely-knurled top portion can unscrew and come off. This might be handy if you need to thread-in a little deeper. In my case, I was able to unscrew the knurled part enough to tighten onto my DR-100, which has a shallow 1/4-20 hole. I give this two enthusiastic spuds up! Rated 4 out of 5 by Dan from The Spud that Cud This is an oddly handy little beast, good for mounting EVFs, audio recorders and other accessories to a 15mm rod clamp. It provides a solid connection to the accessory, although it's easy to overtighten it such that vise grips are needed to unlock it. Works with any 90 degree rod clamp, not just the microMount. Rated 4 out of 5 by Bellazafa from Luv the spud This is a really useful little pice of gear that all ops should carry in their bag. I use 2 of these to mount my zacuto grip relocator to my Ronin gimbal cross bar. It's very useful though to screw into any 1/4 20 mount to give you a 15mm grip spud. Had 1/4 20 male and female on either ends. Rated 5 out of 5 by DMaze from Great! It is what it is. I use it to mount a manfrotto quick release plate onto a redrock rig. Just screws into any 1/4 thread. Works like a charm. Rated 5 out of 5 by Ericsson C. from nice little thing does what it needs to do, make sure you get a block that can accept this (if you don't own redrock ones).... some clamp tighter. Rated 5 out of 5 by Anonymous from Simple and well-made 15mm monitor mount I use this with a 15mm rod shoulder mount for a monitor. Works well.